The Downtown Smithfield Development Corporation (DSDC) is pleased to announce its partnership with famed regional artist, Leslie Macon, to promote the historically significant roles played by the historic Hastings House and the Town of Smithfield during the War Between the States. Through this collaboration, a series of limited edition canvas and linen giclées chronicling the historic accounts and connections of the area will be available for purchase. Titled "Dispatch from General Lee-Headquarters Hastings House March 1865," the painting depicts General Joseph E. Johnston standing on the porch of the Hastings House addressing his Confederate officers prior to the Battle of Bentonville. Fifty 20" x 30" canvas giclées will be produced and sell for $350. One hundred 16" x 24" premium cotton rag paper giclees will be made available at a cost of $150. Each giclée is signed, numbered and packaged in an acrylic bag with a certificate of authenticity. Proceeds from the sale of the limited edition pieces will be used to preserve the historic Hastings House in Downtown Smithfield, as well as, promote the General Joseph E. Johnston statue at the Bentonville Battlefield. Macon lives in Archer Lodge, North Carolina and has painted professionally since 1994. Her art career began as a wood carver in 1984 when she began carving duck decoys. As an apprenticed under a world class Cajun decoy carver, Macon began painting with oils. Since that time, she has competed in national and international competitions as a wildlife artist, winning awards and selling her works in art galleries. Her work has been recognized by Spectator Magazine and published in the North Carolina Wildlife Calendar. Earlier this year, her work was shown at the North Carolina Aquarium at Pine Knolls Shore. Although the Town of Smithfield and the Bentonville Battlefield will celebrate the sesquicentennial (150th) anniversary of the War Between the States in March 2015, the DSDC has already seen an increase in visitors to the Hastings House, many of whom are traveling along the Civil War Trail, as sesquicentennial celebrations are already underway in areas that saw earlier action. Open to the public, the Hastings House retains much of its original architecture and finishes including decorative molding, windows, and pine floors. A donation from Mrs. Jean Jones allows visitors to view eight giclées by artist John Paul Strain that depict various Civil War era scenes. 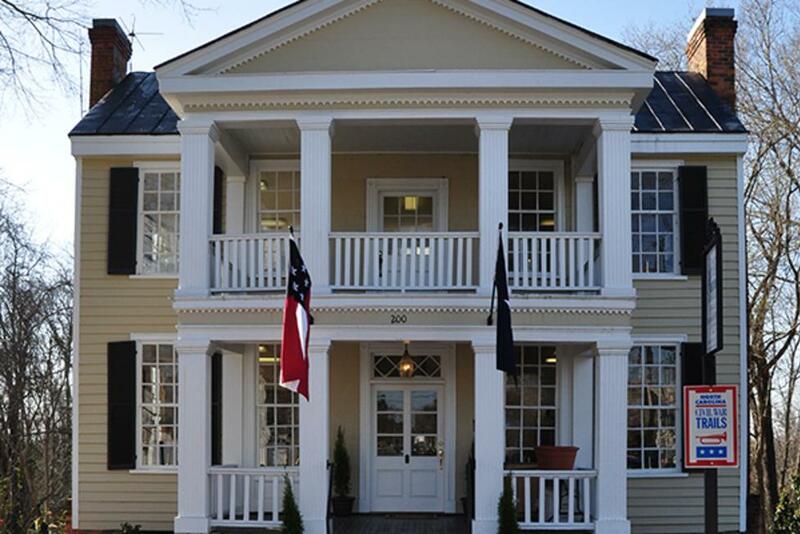 The DSDC hopes to amass a collection of artifacts and antiques and promote the Hastings House as a regional and national destination of Civil War history. To learn more about purchasing the limited edition giclée, the historic Hastings House, the Joseph E. Johnston Statue or the Downtown Smithfield Development Corporation, individuals may call Chris Johnson at 919-934-0887.